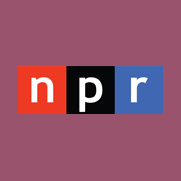 National Public Radio (NPR) is a nonprofit media organization that represents a network of 900 public radio stations in the United States. NPR’s mission is to inform the public in a way they can understand and appreciate events, ideas and other cultures. In its broadcasting you will find some of the best news, talk shows, and entertainment programming across America.